Muse have announced their eighth studio album, Simulation Theory, their first since 2015’s Drones. The eleven-track record was produced by the band along with several award-winning producers, including Rich Costey, Mike Elizondo, Shellback and Timbaland. Each of the album’s songs will be accompanied by a video. This is classic Muse, featuring Matt Bellamy’s unmistakable soaring vocals and blistering guitars and the driving rhythm section of Chris Wolstenholme and Dominic Howard that have become a hallmark of Muse’s stadium-filling sound. 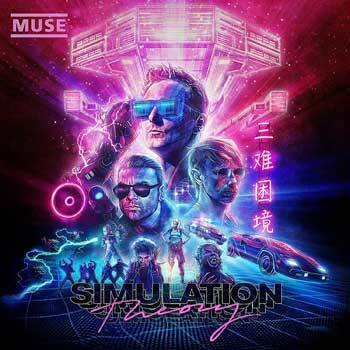 We’re offering Simulation Theory at special pre-sale prices, which won’t be available after release. Click here for more details and to order your copy.